0 cuffed tracheostomy tube Arcadia Medical silicone is a silicone tube radiopaque, biocompatible integral with a connector articulated ISO 15 mm for use with standard respiratory equipment. The tracheostomy tube cuff has a silicone cuff to minimize tracheal pressure leaving properly expand the cuff, it adapts to the shape of the trachea providing a seal at a low pressure inside the cuff. 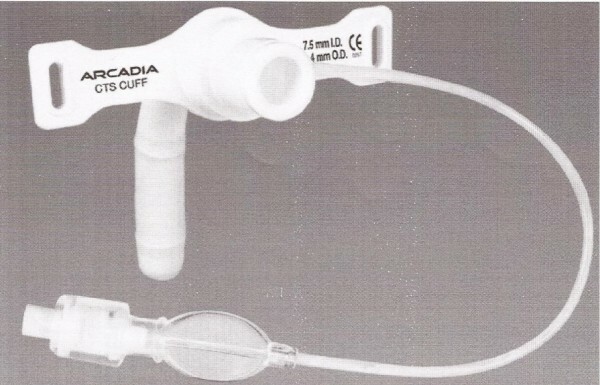 Tracheostomy tubes with silicone cuff deflation have a line connected to a pilot port with a cap.